How To Be Confident! You CAN Learn How! Do You Struggle To Feel At Ease Around Others? Do you regularly doubt yourself or your abilities? 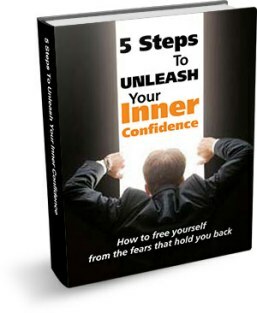 Do you wish you could learn how to be confident? These are sure signs of low levels confidence. Fortunately, your level of confidence is something you can consistently build through practice. 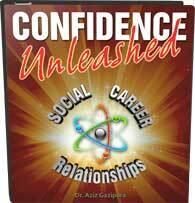 Confidence is not a trait that people either have or don’t, it is actually a skill that anyone can develop. By repeatedly practicing the steps below, it’s possible for you to trust yourself more and expand what you think is possible in your life. Having faith or trust in yourself. Knowing you’re valuable and worthwhile. Feeling relaxed, un-self conscious, and comfortable in your own skin. Accepting yourself, no matter what you think or feel. Being able to share your thoughts and feelings despite feelings of embarrassment or fear. Being spontaneous and making jokes. Experiencing either of these – failure or rejection – can lead to that sinking feeling in your chest telling you you’re not good enough, something is wrong with you, and you’re not worthy of love and belonging. It’s that feeling that makes you want to hide in a dark hole and stay there because no one wants you outside anyway. The less afraid of failure and rejection you are, the more self-confident you become. This doesn’t mean people who are more confident know they won’t fail or be rejected, it means they have enough experience to know they can handle it when these things inevitably happen. If you’re pursuing what you most want in life, you’ll fail and be rejected many times. The only way to avoid failure and rejection is to never try to go for anything you really want. This leads to a life of avoidance that slowly loses color, vibrancy and passion. Fortunately, understanding what blocks confidence (fear of failure and rejection), helps you learn how to increase it. You must retrain yourself to see rejection and failure differently. They are not evidence of being stupid, weak, unattractive, or unworthy. These experiences are inevitable for anyone who’s getting out and living their lives fully. Rejection and failure are part of the entry fee to the amusement park of life. If you want to get into the park, you have to pay this price. One key distinction is that there’s no “failure”. There are only results. You try something and it produces a result. If it’s not the result you want, try something else. If that doesn’t work, try something else! If you approach a woman in a supermarket and she gives you the cold shoulder, are you a complete failure who should never speak to another women again? Or can you learn something about how you approached her? You can view rejection like an inoculation. Each time it happens it’s building your immunity to it. Rather than hurting you, it’s actually strengthening you. The quicker you can let a past rejection or failure go and focus on your next step, the higher your confidence level will become. Start up a conversation with that attractive woman, ask her out for a date, try to kiss your date. Get the cold shoulder, the polite no, the cheek-turn. Tell your partner what you’re really feeling, speak up in that meeting, tell your mother you won’t be able to do her that favor. Feel the embarrassment, the nervousness, the fear. But this is an absolutely necessary part of developing a deep, lasting sense of confidence. Trying these things and having some success and some failures is the only way to develop trust in yourself. True confidence comes from trusting in yourself enough to know that you’ll be able to handle whatever happens. Actively praise yourself for each small step. Write down your successes and remind yourself of them regularly. Think back to two months ago and look what you’re doing now. Look back to a year ago and marvel at how you now do things you used to think were impossible. Our self-concept (how we see ourselves) is reluctant to change. It takes a long time and lot of reminding before we really see ourselves as attractive, likable, and able to handle whatever comes our way. Actively acknowledging your progress is incredibly helpful in accelerating this shift in how you see yourself. Step 4: Repeat Steps 2-3 In Any Area Of Your Life 300 Times. Yes, that’s an awfully high number. Depending on what you want and the goal you’re going for, a few repetitions may be all you need. I myself have never had such luck with the things I really want (that really scare me). To be able to start conversations with women I was attracted to, I had to practice hundreds of times before I started to feel even remotely capable. I still get nervous before I do. Speaking in front of a group and teaching a class was absolutely terrifying to me. I’ve done it now at least 80 times. I didn’t even begin to get comfortable until the 30th or 40th time. Afterwards, if I let my toxic coach run the show, I can still feel self-conscious and self-critical. It’s not really about how long it takes to be comfortable doing something. It’s about pursuing what your heart desires, despite your fears. It’s about becoming who you’re meant to be by facing those fears and challenges directly – not because it immediately feels good, but because it makes your life meaningful and it’s what you’re here to do.